Gwynnie sees her work as reconnection: reconnecting the person with the natural world and reconnecting the self with the body. She totally geeks out on plant phyto-chemistry and loves to say big words to sound smart but really just thinks plants and their personalities are the greatest discovery of her life. Kirsten is passionate about social justice and is open about her own journey with anxiety, mental health and as a survivor. Gwynnie serves survivors of sexual assault in her practice as an herbalist offering a trauma-informed approach to herbal consultations. Gwynnie has over 15 years of working in social justice and direct advocacy for survivors of domestic violence and for non-profit, free clinics offering peer based mental health services. Gwynnie’s most proud work is her own life. That she has found her way, with the help of the right supports, to a life of thriving. Besides all the beautiful reasons to eliminate the suffering, isolation and trials of living with the effects of sexual violence in their lives, my deep commitment to serving survivors is one of solidarity. Survivors of sexual violence, in my experience, are the most hard-working, deeply intuitive, empathic and creative people I have met. It can be hard to identify that during the “surviving” process of being a survivor. But along the healing journey, as pieces of the self are restored, stories reclaimed, bodies lived in deeper and new joys discovered, a very amazing power begins to emerge as all the energy being used to survive gets redirected into living, really living. Every chance I have to offer a survivor a plant that strengthens the heart, a plant that soothes the nerves, a plant the builds the adrenals, a plant that sparks excitement and reconnection is a moment that both I and the world at large becomes that much more bright. In my experience, survivors use their passion and power along their healing journey to inspire and empower others. It’s amazing. As an herbalist I work with plants to help restore balance and harmony in the body. Herbalists are not able to treat disease or diagnose, rather we explore what is happening with the person looking for places where the body may have signs of excessive or deficient actions. Anxiety for example can be both an excess of nervous system activity and a deficiency of adrenal activity. We study the plants and how they interact with human physiology and then offer knowledge of these plants in consultation as well as places to source the plants, including the herbalist. Herbalists can work in partnership with conventional medicine to assist the survivor in the process of healing. Many survivors some to herbs as a way of avoiding pharmaceuticals and seeking a more natural way to work with the emotional and physical effects of trauma. Herbs can be a powerful support to help bring imbalances caused by the shattering effects of trauma back into balance. It can be exhausting trying to navigate the world of super foods, health store aisles, online articles and suggestions from friends about what to take for this or that. Herbalists help focus this search and tailor it to the specific person’s needs. And often we try and make things taste good too! Providing trauma informed care is the core of my work. I am intimately aware of how many services designed to help can be disempowering and violating. I have extensive research and personal experience navigating mental and physical health systems. Providing trauma informed care is about knowing that the survivor is always the best resource for information about their own health, their needs, desires and boundaries. It is ultimately about saying that what is true for the survivor has validity, weight and gravity as so often survivors experience voices about their health, their symptoms of the trauma and the way the trauma shows up in their daily lives as a pathology. In trauma informed services, these effects of the trauma are treated as valid experiences that hold profound information which can be used as a map to navigate the journey towards healing. Trauma informed care is ultimately working to identify and eliminate the narratives from a dominant culture and honor the complex intersection of traumas from various oppressions with the deeply personal experience of sexual violence. I study the physical and emotional effects and expressions of trauma on our bodies, including neurobiology and the connection between body and spirit. As a general approach, a really good herbalist is going to take listen to the survivor’s whole needs, those of their minds, bodies and hearts and make an herbal formula or plan to increase resiliency in all these areas. This would be true for anyone seeing an herbalist. For survivors, the challenges of identifying what is happening in their bodies because of the trauma vs. what might just be a symptom of being a person with a body can be challenging. There is often the fear that “this is probably just in my head,” or the fear that we cannot really know what is happening in the body because of dissociation and disconnect or stored memories. Herbalists work with plants as allies in the self-directed places a survivor needs support. Most healthcare is designed to address what is going wrong in a survivors body, but herbalism seeks to celebrate and empower what is going right in their body! Herbalism is about reducing the overall energetic load of daily and trauma related stresses on the body. There are herbs that help reduce muscular tension, assist with broken sleeping patterns, reduce excessive nervous system activity, herbs that literally feed the heart tissues and herbs which nourish physiological functioning. Survivors of sexual trauma can find help alleviating the toll the healing process takes on the body so that more energy is freed up for that process. I have designed my herbal consultations to respect the various needs of survivors who have likely had their voice, power or autonomy taken away even after the abuse stopped. My experiences with doctors and mental health professionals were fearful and often left me triggered or feeing disempowered. I offer both in person and online consultations. After signing up on my website for a consultation there is a client only page which offers an opportunity to do some guided personal exploration and self-assessment in preparation of our consultation. There is an introductory video of me explaining the consultation process, that the self-exploration resources are optional and allowing the person to see/hear me before the session so they get a feel for how I ask questions and what information can be helpful in the consultation. I make it clear that ALL information supplied to me is optional and that they never have to disclose anything about their health they do not wish to. I do not do a standard intake form with very personal and often triggering questions so that the client can be the guide of their consultation. During the session I work to identify the key areas the person is expressing the most concern with as well as how they wish to be feeling and what we are working towards. Post-consultation recommendations include a .pdf which details the herbal, nutritional and often nature based therapy recommendations, why they are recommended as well as detailed information on where to source the herbs and which ones are the ones to prioritize most. Clients are never required to purchase herbs from me and they are offered multiple ways to source the herbs so that they can make a very informed and personal choice about moving forward according to their own intuition. Choice and empowerment are the key experiences I incorporate in each area of the consultation process. 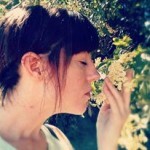 I have worked for social change for over 15 years prior to finding my passion as an herbalist. Because of this, my approach as an herbalist is as an activist. I work to know and to hold myself accountable for my intersections of privilege with the places that I have been violated or marginalized. I believe the economic impacts of trauma in a person’s life can be devastating and that is further compounded for someone who has less access to care, resources and support due to racism, ableism, heterosexism, misogyny, forced assimilation into neurotypicality, transphobia, homelessness, etc. As an ally I work to identify ways in which my services can resist, rather than uphold, these dominant cultural narratives.